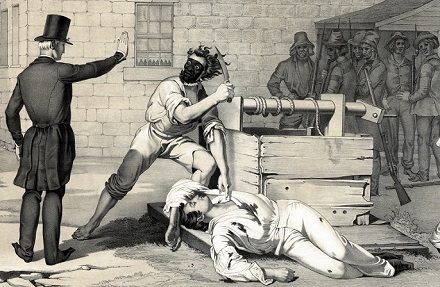 Joseph Smith, the strange founder of America’s most successful home-grown religion, was lynched on this date in 1844 at the jail in Carthage, Illinois. 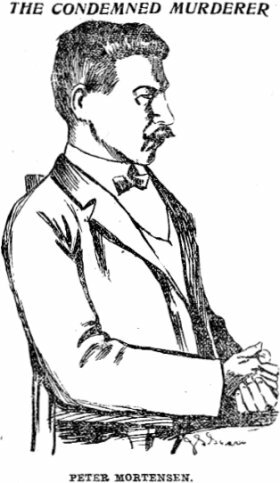 Mormonism today boasts some 15 million adherents but it all started in the 1820s when Smith, then an energetic young mystic in the revival hotbed of western New York, claimed to have been guided by an angel to plates engraved in a made-up language that only he could translate and only that one time because the plates disappeared back to angelic custody after Smith’s perusal. It will not be news to this site’s LDS readers that few outside the faith place this origin story on the near side of the laugh test, but then, it is the nature of religions to appear ridiculous to outsiders: Christ crucified is unto the Greeks foolishness. 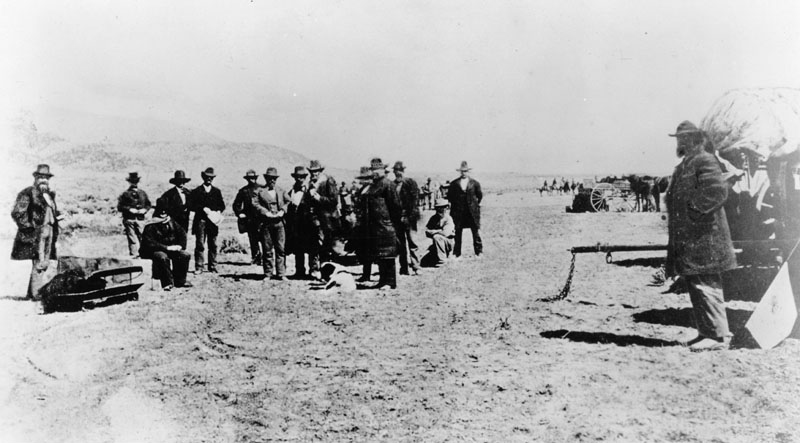 Smith’s heretical story of America as the ancient zone of a literal “New Jerusalem” founded by Israelites with a theretofore unknown gift for transoceanic navigation was certainly a stumbling-block for Protestant American neighbors, who harried from state to state — a practically Biblical sojourn through the desert — the fast-growing community. It came to pass* that the young man’s implausible scripture struck a resonant chord for the young nation. The strange new sect’s capacity for punching above its weight in the missionary game also unleashed violently hostile reactions, marrying to its settler theology a compelling lived experience of persecution. The march of the movement across the continent has an astonishing, can’t-make-this-up character — “full of stir and adventure” in Mark Twain’s words, so again a perfect fit for America. 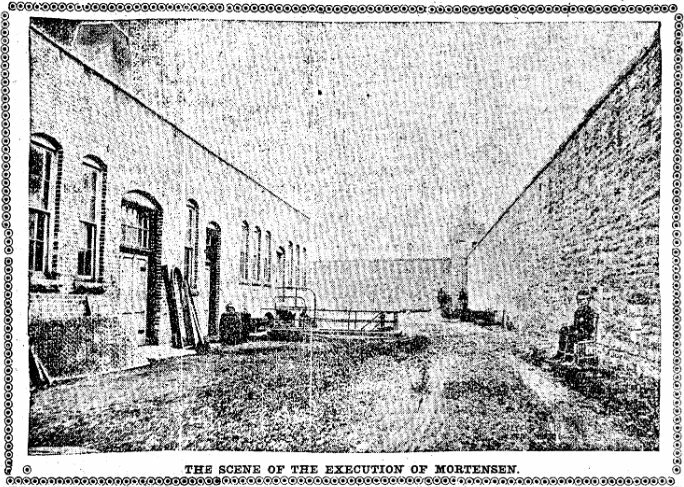 Smith took his fledgling faith from its New York birthplace to Kirtland, Ohio — where he was fortunate to survive a tarring and feathering in 1832 — and then onward to Missouri where a dirty vigilante war led the governor to issue a notorious “extermination order”: “the Mormons must be treated as enemies, and must be exterminated or driven from the state if necessary for the public peace.” Scrabbling for a homeland and pursued by a Missouri treason charge (!) 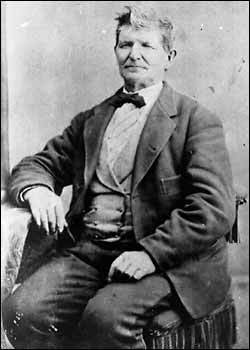 Smith ducked over the western border to Illinois and set up a Mormon town called Nauvoo. But in this case, the law did not take its course. 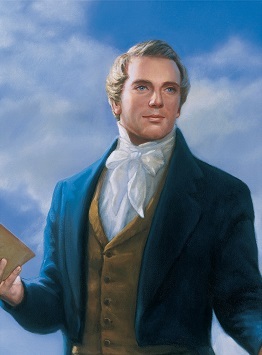 Whatever else one could say of Joseph Smith, he forged a community that survived its founder’s death, and is thriving still nearly two centuries on. With Smith’s passing, leadership of the Mormons fell to Brigham Young, who brought the Mormons out of Illinois for their destiny in Utah. * Smith — or the angel Moroni, if you like — amusingly abuses the portentous clause “it came to pass” in the Book of Mormon, repeating it in about one-fifth of the tome’s verses. ** Also recommended: Dolan’s article on Joseph Smith as an outstanding product of an era of “text-finding” — his spuriously “ancient” book offering pious Americans their greatest desideratum, a national link to God’s Biblical chosen people much like James MacPherson‘s forged Ossian epic thrilled the patriotic fancies of Scots discomfitingly swallowed up into Great Britain. 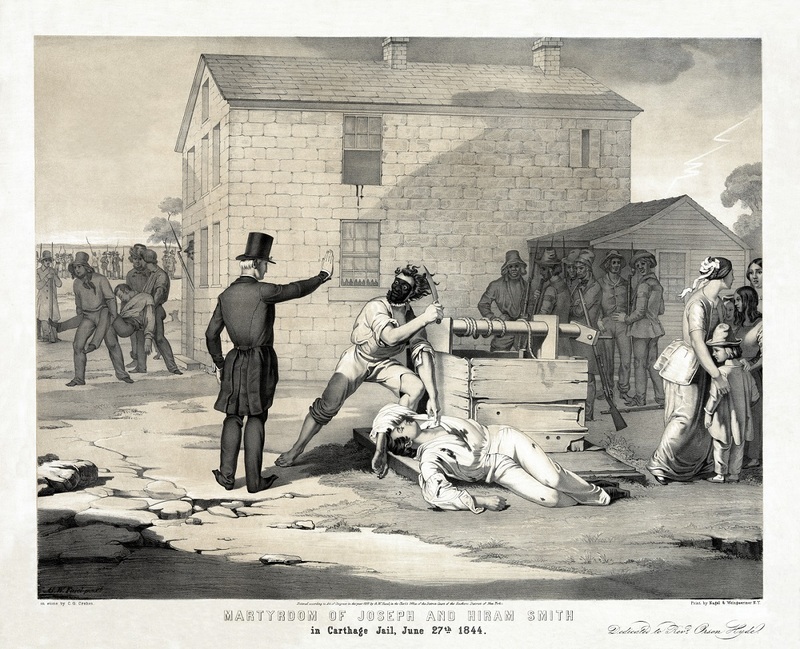 † The Expositor published only one single issue: the June 7, 1844 edition that caused its immediate suppression and eventually Smith’s death. 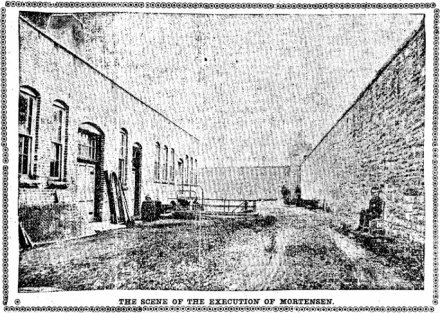 ‡ Both Richards and Taylor survived the mob attack on Carthage Jail. Taylor in 1880 succeeded Brigham Young as president of the church. Poster announces Helmut Hubener’s execution. 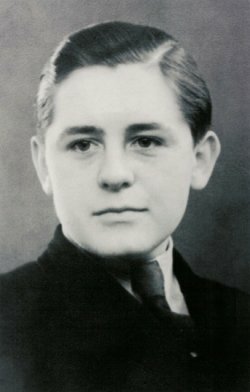 On this date in 1942, 17-year-old Helmuth Hübener was executed at Plotzensee Prison for listening to the BBC. Huebener was a Mormon youth with the political perspicacity to abhor fascism from a very young age: the former Boy Scout (Mormons really take to scouting) ditched the Hitler Youth after Kristallnacht, which happened when Huebener was only 10 years old. As Germany forged ahead towards worse horrors in the years, conscientious people of all ages had moral dilemmas to resolve. Mormons in Nazi Germany weren’t persecuted per se and to keep it that way that small community generally kept its head judiciously down. 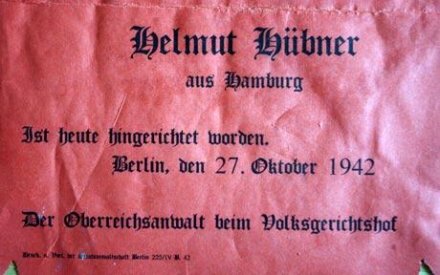 Horrified by the privations of their Jewish neighbors, Huebener with fellow Mormon teens Karl-Heinz Schnibbe and Rudi Wobbe began illegally listening to foreign radio broadcasts and using the material to compose anti-fascist pamphlets for distribution around Hamburg. Huebener’s friends, aged 18 and 16, were judged only sufficiently severe for hard labor sentences; both survived the war but have since died. Huebener as the ringleader got the death penalty. (The local Mormon congregation expediently excommunicated him, a judgment later reversed from church headquarters in Salt Lake City.) And clearly Huebener was failing to “support the troops”, in the present-day parlance: his own older brother Gerhard had been drafted into the Wehrmacht and was away at the front. The Latter-Day Saints church, not usually thought of as a hive of anti-authority activity, has only gradually warmed up to celebrating its appealing young resistance martyr. In addition to a number of books, Huebener is the subject of the documentary Truth & Conviction as well as the forthcoming feature film Truth & Treason. Three Against Hitler and When Truth Was Treason were written by Huebener’s un-executed confederates.